Serving the Hotel Industry for over 40 years! Midwestern Specialty Advertising has developed products targeted to hotel personnel, your clients and promotion through sales blitzes. Our goal is to promote your brand and services as quickly and inexpensively as possible. 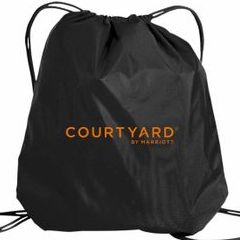 All items are branded with your hotel logo. Most are available for same day shipment with NO minimums. Choose from a number of great ideas such as: t-shirts, polo-shirts, sweatshirts, travel mugs, corkscrews, gift bags, umbrellas and much more! Our branded and custom hotel amenity pictures are just a small representation of our complete line of promotional products. If you are looking for a specific item not carried on our flyer or website, just call or e-mail us, we'll help find it for you! To view our online catalog, simply go to the photo gallery page (located at the top left corner), Click on any picture to enlarge the item. We carry a host of brand logo's in stock. Because of this, some items pictures may not be represented. Please refer to our flyer for pricing. We are able to personalize custom imprint your property logo and information on any items that we carry. All items pictured reflect the quality you can come to expect from Midwestern. For additional information and pricing please call us. To place an order or receive a digital flyer with pricing, please email us: sales@midwesternspecialty.com. You may also dial us directly at 734-426-4994.